The epiphany day, which will be the 6th of January next year, is the day the children will open their presents. However, the focus of this event is on the evening previous, the 5th of January. 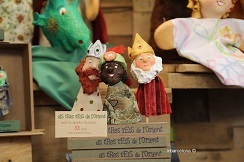 On this day, prior to the epiphany day, the Tgree Wise Men will arrive in Barcelona. 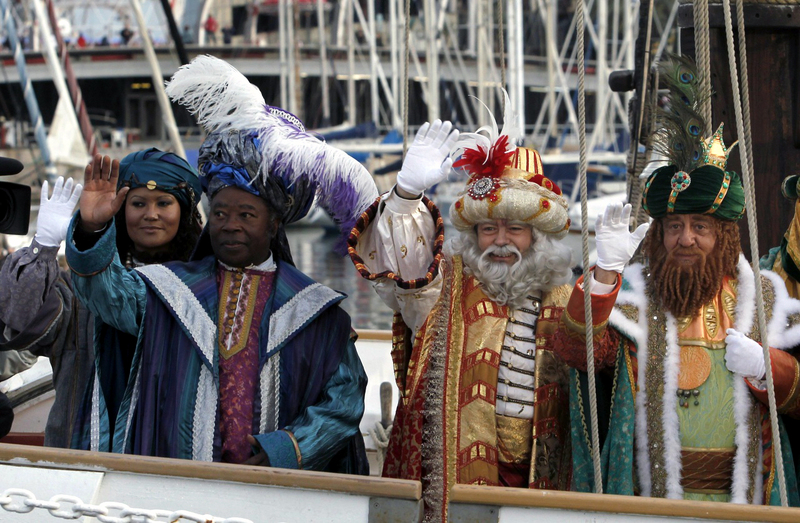 The Three Wise Men will arrive in the harbor after having travelled a long way from the Far East on their camels. The children will be ecstatically welcoming the Men in the streets of Barcelona. After the Three Wise Men are officially welcomed by the city officials, the true festival called ‘Cabalgata de Reyes’ (Procession of the Kings) will start. The festival is a huge parade through the streets of Barcelona, where the Three Wise Men will be standing on regal floats, throwing gifts and sweets to all the children. This festival has its origins in the Catholic faith. The Three Wise Men, named Melchior (the king with the white hard and a long beard), Caspar (The blond or red-haired king) and Balthazar (the black king) arrived in Jerusalem from the Far East to worship the recent born baby Jesus. Each king brought a gift for this special creature (gold, frankincense and myrrh). Today the Kings have continued this tradition in Barcelona, Spain and other places throughout the world, to visit and bring gifts. In order to get gifts, the children of Barcelona had to write a wish-list with the presents they would like to receive. The letters will be sent to the Majesties, and if, only if, the children have been kind they might receive gifts from the Kings. After the Possession of the Kings the children will go to bed early, after leaving water for the camels, in order to get gift deliveries from the Three Kings. This magical night is without question the longest, most anticipated night for the children of the whole year, who will be too enthusiastic to wait for the next day. The estimated arrival in Port Vell of the Three Wise Men, who will be arriving on a boat, is around 4:30pm on Friday the 5th of January. 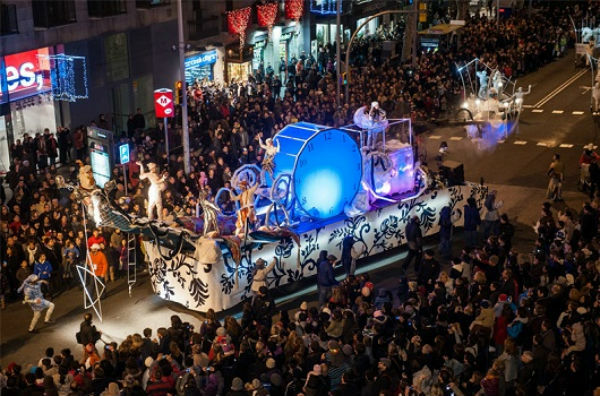 After the ‘Cabalgata de Reyes’ is started, approximately around 6pm, the Kings will make their parade through the city of Barcelona. The streets will be crowded with enthusiastic and excited children and families. Most floats are highly decorated and music will be playing. The tour lasts around 3 hours and will finish on the junction of Avinguda Rius I Taulet and Avinguda Maria Cristina, next to the Magic fountains of Montjuic. Wherever you would like to see the tour, this biggest family event makes Barcelona live up. Find more information here.